INCORPORATING YOUR BUSINESS REFERENCE GUIDE If you are carrying on a business through a sole proprietorship or a partnership, it may at some point be appropriate to use a corporation to carry on the business. Incorporating your farm. Is it right for you? Professional Corporations An Attractive Option Recent and planned corporate income tax rate reductions mean that now is a good time for eligible professionals to consider incorporating their practices. 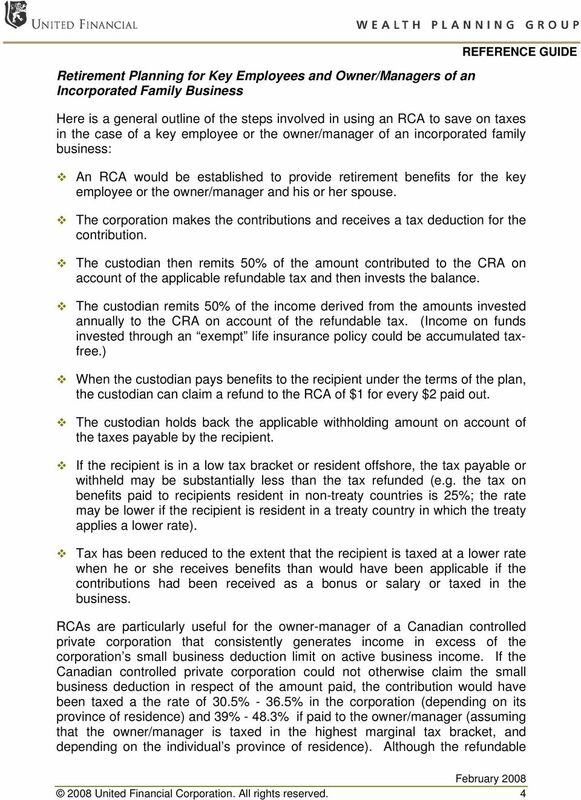 How Can You Reduce Your Taxes? 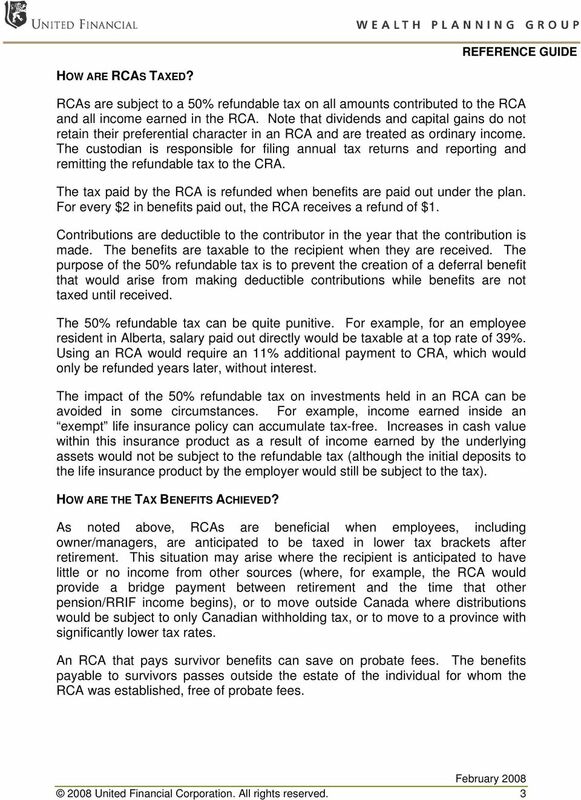 RON GRAHAM AND ASSOCIATES LTD. 10585 111 Street NW, Edmonton, Alberta, T5M 0L7 Telephone (780) 429-6775 Facsimile (780) 424-0004 Email rgraham@rgafinancial.com How Can You Reduce Your Taxes? Tax Brackets. Professional Corporations Is One Right for You? 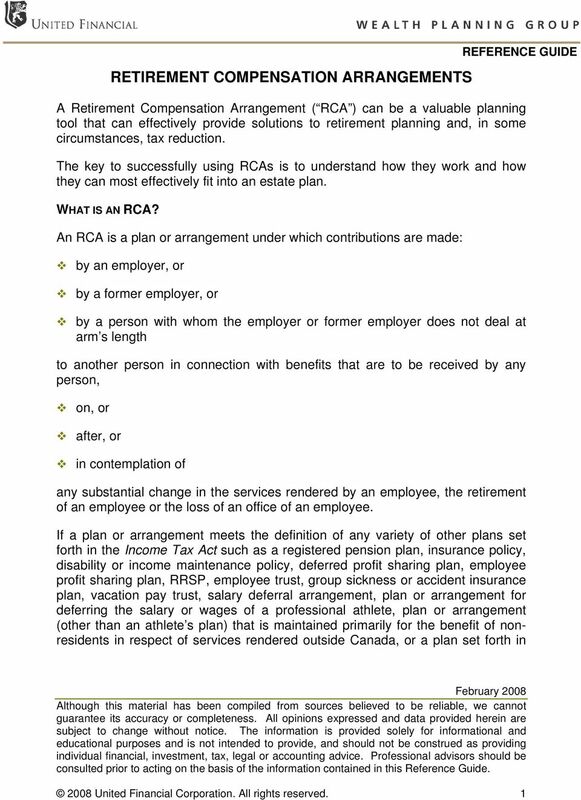 This strategy gives a person the ability to take advantage of the tax-sheltering ability of a life insurance policy. This publication is provided as a guide only. It is not intended as a substitute for the Employer Health Tax Act and Regulations. REMUNERATION. 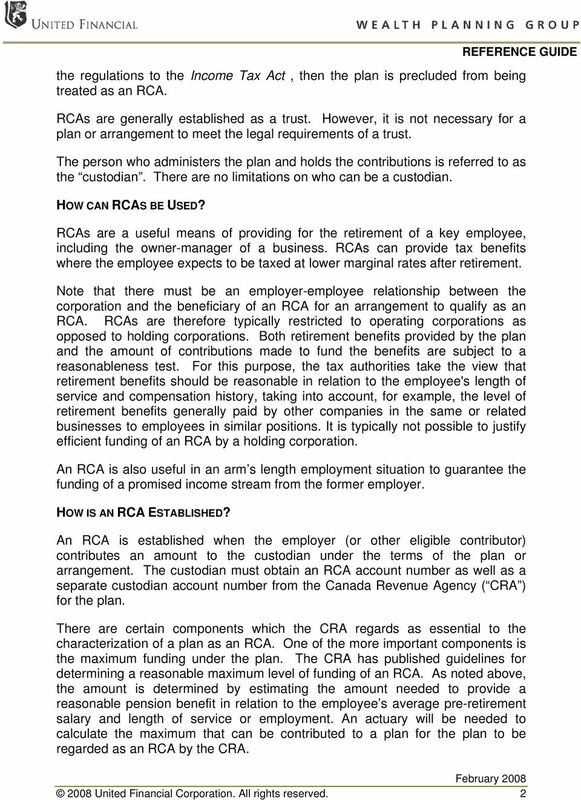 - List B - Benefits and allowances that are not remuneration and therefore are not subject to tax. Clients want to know: How can I keep more of my retirement income? Side-by-Side Insurance Plan Comparisons Small Strategies & Solutions Protect and grow your business with proper planning The success of your business is based on your hard work and the efforts of key employees. Do creditor protection concerns exist within the company? Ultimately, who will receive the proceeds of your insurance? 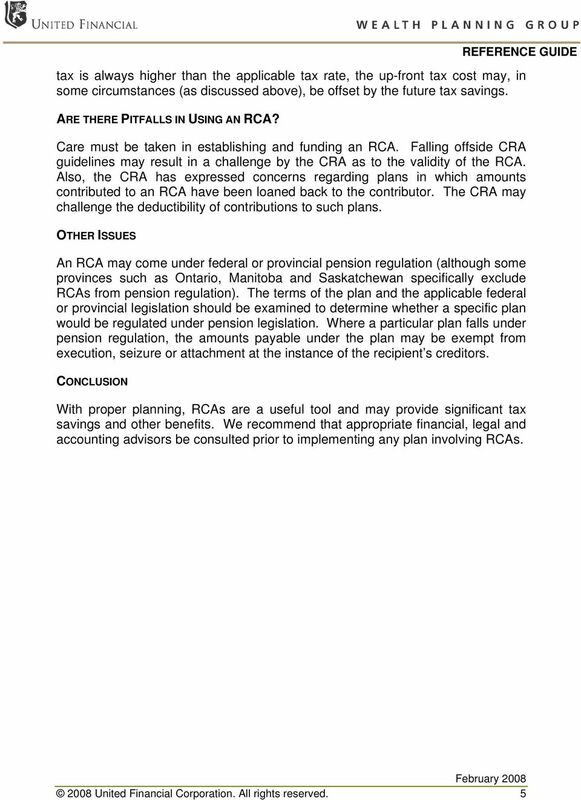 year-end tax planning opportunities These important tax and financial planning moves can help prepare you for the upcoming tax season and better align your portfolio with your short- and long-term goals. Business Owner s Bonus Plan. Producer Guide. For agent/registered representative use only. Not for public distribution. Executive Bonus Arrangements using Life Insurance. Producer Guide. For agent use only. Not for public distribution. Canadian Health Insurance. Health and Welfare Trusts. Life s brighter under the sun. July 2012. Sun Life Assurance Company of Canada, 2012.